Sofas and armchairs are the cornerstone of every comfortable, practical home. 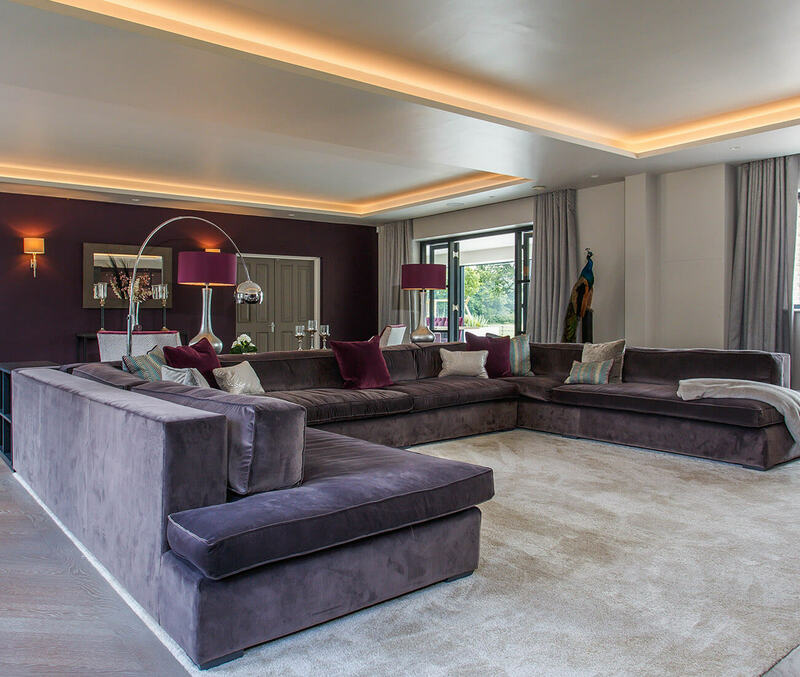 At Pfeiffer Design, we are able to design, build, upholster, style, deliver and install bespoke pieces for your living room or snug. Our trusted frame-makers use solid British beech, prized amongst furniture makers not only for its fine grain, even texture and pale colour, but also its strong nature, making it incredibly hardwearing, and easy to stain and polish. 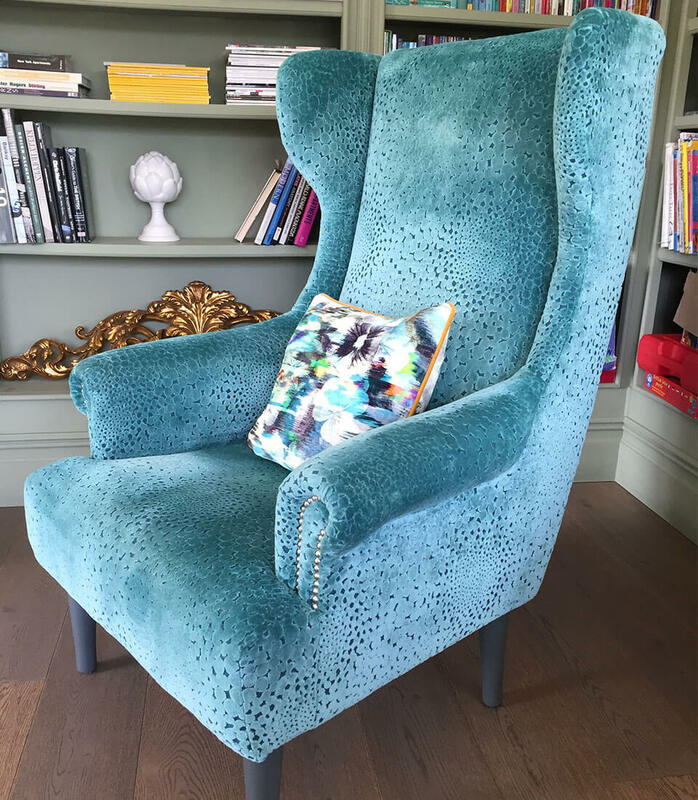 We are so confident in the exceptional quality of our sofas and armchairs, that we offer an unconditional 15 year guarantee on all frames. 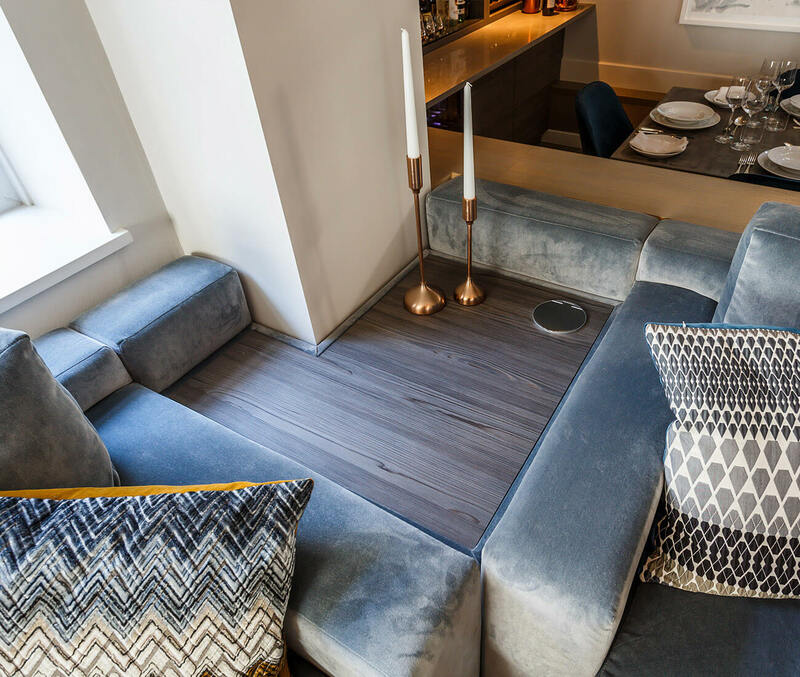 Through our longstanding relationships with our trusted suppliers, Pfeiffer Design are able to offer a wide choice of cushion fillings, including feather, fibre and foam, to suit particular pieces of furniture, and your own preferences and needs. Feather cushions, for example, are soft and luxurious, while fibre cushions are more resilient and durable; both will need regular plumping and turning. Foam cushions give a more tailored look, and retain their shape by themselves. We recommend a foam centre surrounded by a feather-and-fibre outer layer: this offers the best combination of softness, recovery, support and shape. All our cushion fillings and upholstery materials comply with UK fire regulations, and are guaranteed for two years. 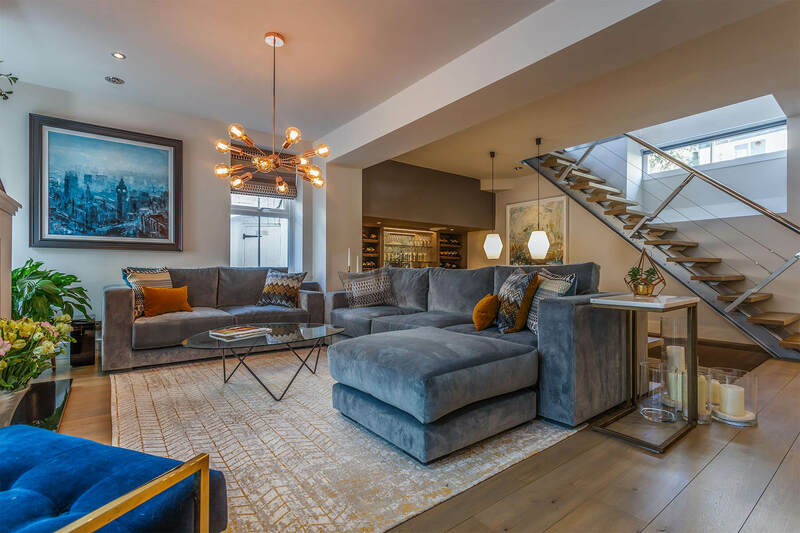 As professional interior designers, we are the best possible choice to help and advise on upholstery options, according to you and your family’s unique needs. Have an existing sofa or armchair that needs a little help? 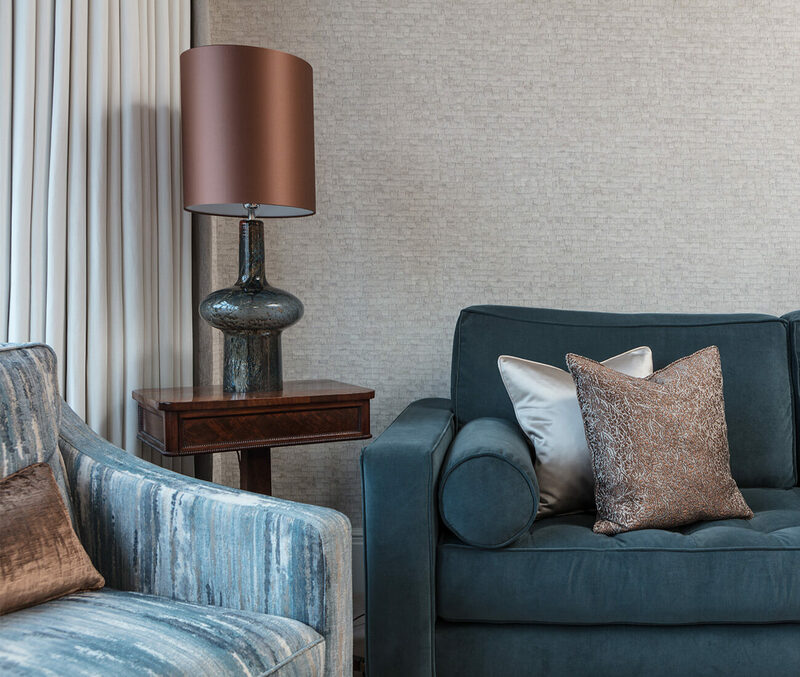 We also offer a re-upholstery service for those well-loved sofas that either need updating to match a new interior or are simply looking a bit tired.